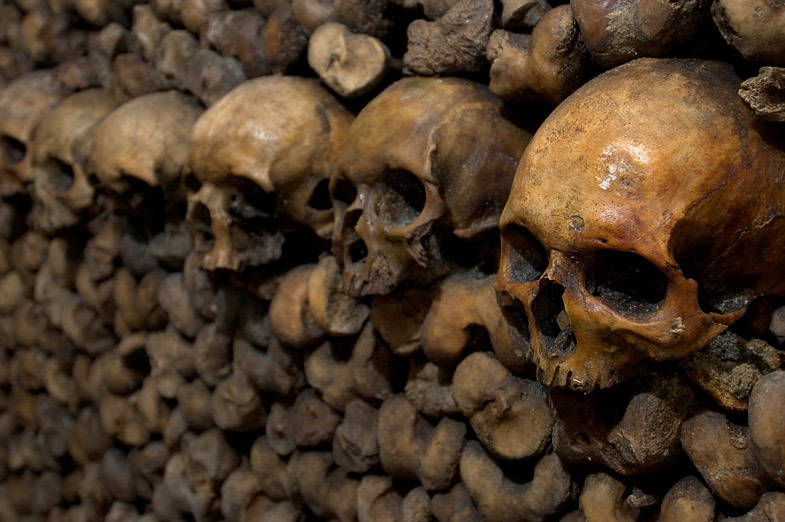 If you don't like caves, tight places, or the concept of creeping around tunnels under a major city, then the Catacombs in France are likely high on your list of scariest places. With thousands of years of citizens having passed on, the Plague and wars, there were too many bones taking up vital land in the Paris area, and hence the bodies were interned and placed in catacombs beneath the city. Does the idea of being in a beautiful natural forested park, but finding out it's a very popular place to commit suicide unsettle you? 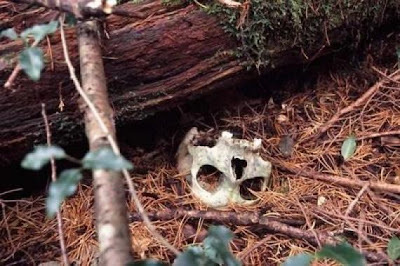 "Suicide Forest," as Aokigahara Forest in Japan has come to be known, has a reputation for people entering, but not exiting. Many people have entered the forest, often times setting up camps with tents, contemplating their life path and deciding to end it there. The amount of agony and the weight of the depression likely permeate the very forest floor. If the idea of stumbling upon such a find creeps you out, then this forest is perhaps one of your scariest places on earth. 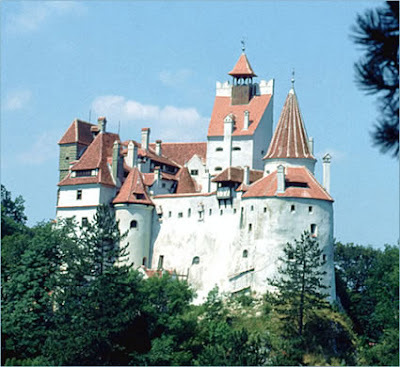 If you are a romantic at heart and love the classics, are fascinated with vampires and remote castles, perhaps the Bran Castle in Transylvania is your scary place. Although Bram Stoker likely did not know of the castle or intend to focus the legend upon it, the very look and location of the castle make it a sought after hot spot referred to as "Dracula's Castle." Mood and atmosphere alone might make it a terrifying location to be alone. In the dark. 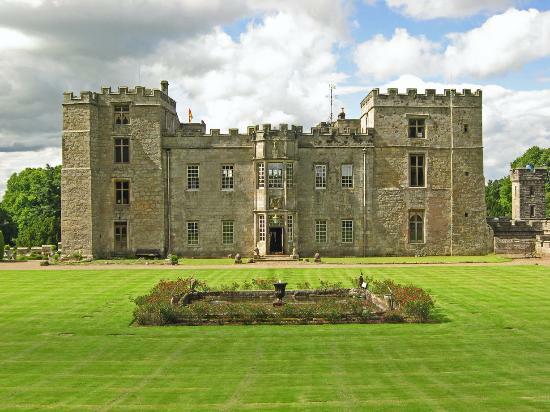 If you like ghosts, Chillingham Castle might be the Mac Daddy of all locations. With hundreds of years of dark history, it permeates the walls. In fact, they have rental apartments within the castle in case you ever wanted to sleep in a super haunted location! I seriously miss that Scariest Places show every autumn. That was as fun and moody as it gets! 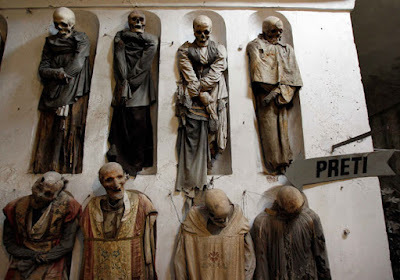 These catacombs in Palermo shows the customs of the 17th to 19th Centuries of the people of Palermo. 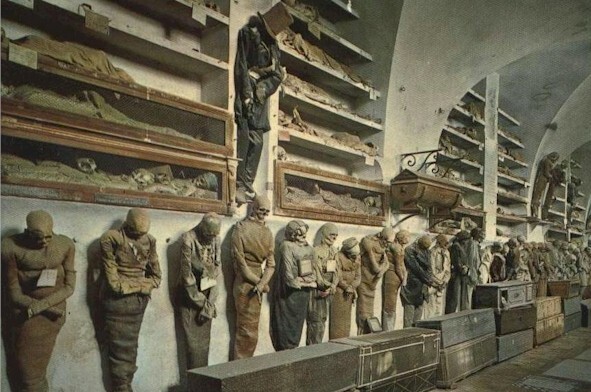 Citizens begged to be buried there and some to be mummified. 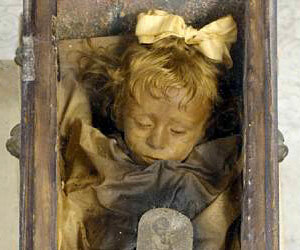 Perhaps the most famous mummy is Rosalia Lombardo, a 2-year-old who died in 1920. Her father was so grief stricken, he made sure she was mummified to remain two forever. 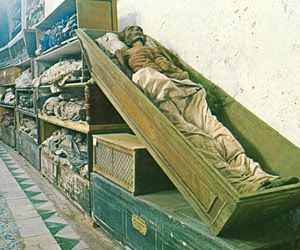 The corridor is lined with mummies of some of the town's most prominent men. A man who was tired of life in the town, moved out to an island on the canals in Mexico. After a little girl drowned in the canal, he was certain she was haunting his getaway retreat. He decided to leave her a doll, which later became a few more dolls, and more dolls, and pretty soon he was trading items for dolls to load up the island and protect the whole thing. 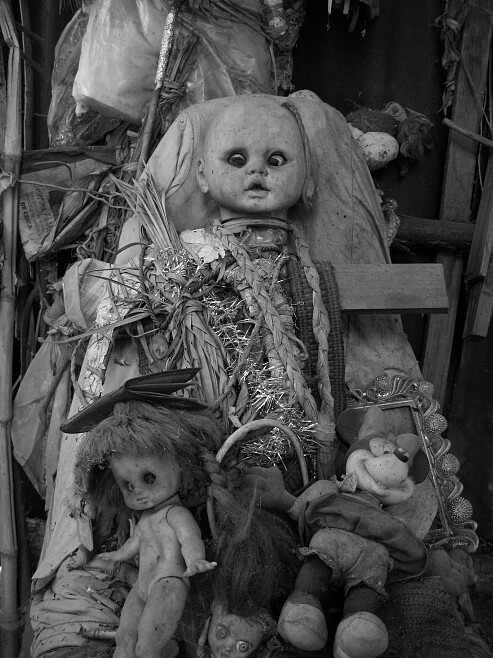 Ironically, the man drowned in the same canal and now the island sits with its lonely hundreds of plastic dolls trying to ward off more spirits. Deep in the rugged desert of Chile sits two neighboring abandoned towns that were once mining towns. 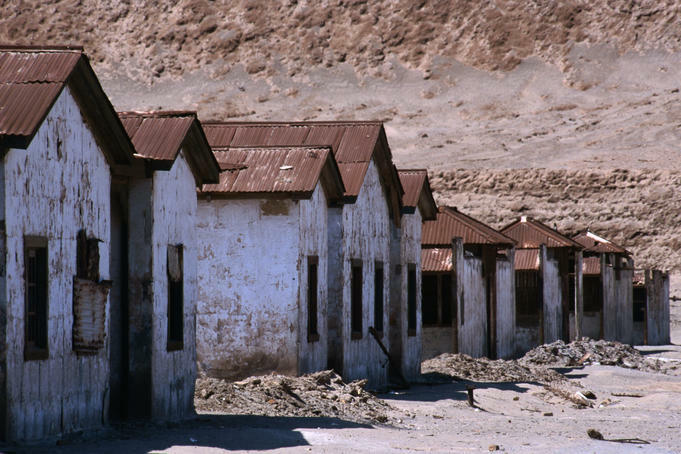 In the 1800s the families living there were treated like slaves and had horrifying deaths. They say it lingers. Voices, footsteps, lights, and more are experienced by anyone who lingers after dark. The bones of the dead are still scattered among the streets. It gets even creepier when you find out that near a church, a tiny 6-inch skeleton was found. It was thought to be a premature baby, but it sure looked quite defined and quite abnormal. When DNA was studied, it was found to be human, but studying the bones and teeth discovered it was about the age of a first to third grader. How did it live that long? Well, my guess in that kind of uncontrolled mining area, it might have been an issue related to arsenic poisoning or lead creating an unusual birth defect. Some say the dead arise from the grave after dark and their apparitions walk the town, taking it over. Coffins lie open and attest to the dead never resting. 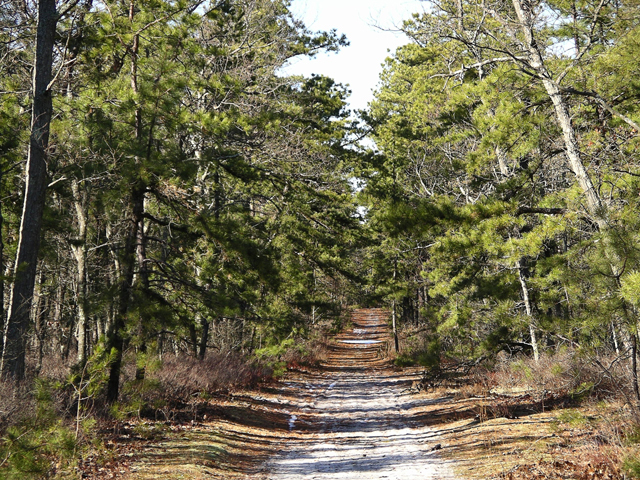 You say "Pine Barrens" and most folks think about the Jersey Devil, a vicious flying monster that supposedly torments the area for over a hundred years. But, the Pine Barrens are full of weirdness. There is a ghost called the Atco Ghost of a little boy who was hit by a car. The local legend tells of a place in the roadway you can stop and hit your horn three times and flash your lights three times and soon you see the boy cross the street. An area that is abandoned called Ong's Hat is considered to be a portal to another world. The legend says that a machine called "The Gate" was invented which allowed passage to other realms. If it isn't creepy enough that the island is one of the most remote ones in the entire world, it is left with enormous stone sentinels, the mysteries of which are still being uncovered, like the fact they had bodies beneath the soil and strange writing on them! 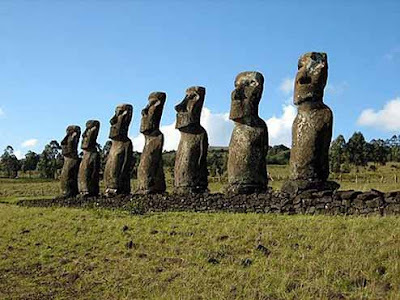 The Rapa Nui said they couldn't translate the stone tablets found there with odd writing, but they did speak of the long-earred ones that they fought with, the ones who were originally there when the Rapa Nui showed up about 1200 years ago. Caves have exposed the bones of those who were cannibalized. 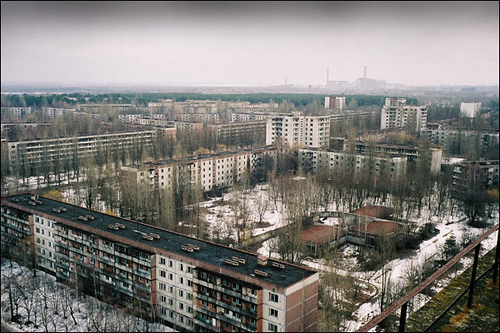 One of the worst nuclear disasters of our time, the Chernobyl accident led to the rapid evacuation of thousands of people. It left the country with many deaths and deformities from it and an ecological disaster beyond compare. 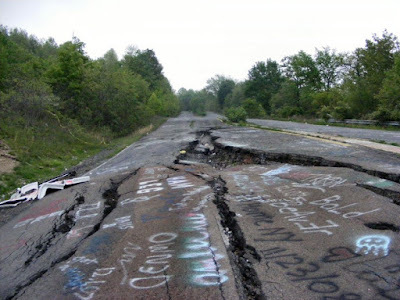 What it also left the area with is empty towns that some are coming back to in order to visit, with proper precautions for their safety. Abandoned towns are scary, but ones that might have wildlife affected by it, that have entire huge towns left in mid-action for decades, is pretty darned creepy. 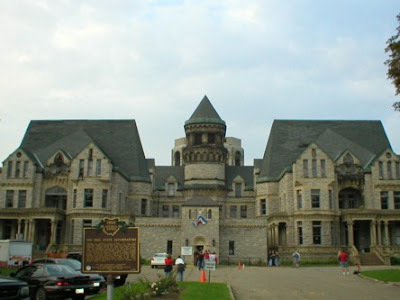 The prison opened its doors in 1896 and closed them in 1990. During that time, it housed over 155,000 men. They offer plenty of ghost tours and extreme hunts in the building and with its very gothic baroque style, it is just the place to get you ghost fears flowing. 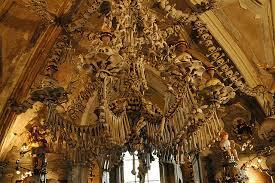 Sedlac Ossuary has 70,000 people's bones used to make this entire church in the Czech Republic. Everything is made of bone, even a communion cup.